The IoT Node board includes the most common peripheral components for IoT solutions and includes a stackable expansion header for your favorite communication module. Add stackable adapter boards to provide additional functionality. The IoT Node board is designed to fit a hinged waterproof enclosure with up to six cable ports and two holes for optional antennas. The IoT Node is general purpose and may be used for wide range of IoT applications ranging from environmental monitoring to industrial control. Multiple power options including mains, solar, and battery. Battery options include Li-poly and AA. Power regulation and management for peripherals and external devices like sensors. Switched 3.3V and 5V regulators. Non-volatile FRAM and micro-SD card memory for keeping track of state and for data logging. A real-time-clock for time keeping and for scheduled power control of the communication module and peripherals. A watch dog timer for reliability. Pluggable expansion headers for communication modules and for adapter boards. Screw terminals that breakout the pins of the expansion headers for flexible I/O. Header compatibility with the popular Adafruit Feather boards enabling the use of a wide range of peripherals and communication modules including the new Particle Wi-Fi, cellular, and mesh modules. Low power capability with communication modules operating in sleep mode. The Adafruit Feather and new Feather-based Particle cellular, Wi-Fi, and mesh modules may be plugged directly into the IoT Node header. Making the communication module a separate plug in provides significantly flexibility and enables the use of the latest and greatest communication module in a market that is changing very rapidly. Feather M0 WiFi, Feather 32u4 FONA, STM32F205 with Cypress WICED WiFi, and the Feather 32u4 RFM96 LoRa among others. Other communications modules can be added using a custom adapter board. The IoT Node has multiple power options including 6V solar or 5V mains charging a 4.2V Li-poly battery or three AA batteries. The IoT Node includes a TPS2113 power multiplexer that switches automatically between the Li-poly battery and three AA batteries. The IoT Node charges the Li-poly battery from solar or mains power using a CN3063 charger. The Power slide switch controls the main power to the IoT node (VIN – see below). This switch connects or disconnects the power from the main power sources. Note that the real time clock and the watchdog timer are powered directly by the LiPo and/or 3AA batteries through an ultra low quiescent MCP18102 3.3V regulator and are not disconnected by the Power switch. DONE and CHARGE LEDs show the state of charge for the LiPo battery. The IoT Node includes an ultra low quiescent MCP18102 3.3V regulator to supply backup power to the MCP73410 real-time clock and watch dog timer circuit. An AP2112 3.3V regulator supplies power to an MCP23018 I2C expander used to enable power regulators that provide external 3.3V and 5V power and to monitor state. 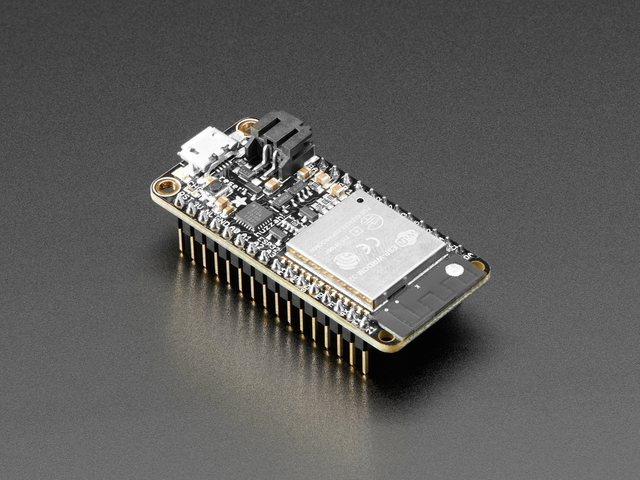 The IoT node includes a micro SD card socket with SPI communication as well as 256kbits of I2C FRAM memory. An MCP73410 I2C real-time-clock provides timekeeping as well as the ability to control the power on the IoT Node by enabling or disabling the TPS2113 power multiplexer. This feature may be used to reduce power consumption and is particularly useful for communication modules with high power consumption even when operating in sleep mode. The Control slide switch enables and disables the control of the VIN power by the real-time-clock. A main reset button is connected to the header RST line. The IoT Node includes a header to accommodate additional adapter boards as well as a communication module. The header is further broken out to 3.5mm screw terminals. A TPL5010 watchdog timer provides a means to reset the communications module and peripherals in the event of a software failure. A slide switch enables or disables the Watchdog and a reset button resets the Watchdog timer. When the Watchdog timer is rest it re-reads the value of the potentiometer to set the timer period. The reset output of the Watchdog timer is connected to the RST line which is pulled low to reset. The WAKE output of the Watchdog timer is connected to the WAKE pin and the DONE input is connected to the MCP23018 I/O expander. The DONE input is used by the communication module to “tickle” the Watchdog timer to show that it is still operational and to prevent a reset from occurring. The Watchdog timer period is set by the resistance of a multi-turn potentiometer that may be read by connecting a multimeter across the two vias directly adjacent to the potentiometer when the power is disconnected. The resistance of the potentiometer varies the watchdog period between 1 and 120 minutes. Please refer to the Texas Instruments TPL5010 datasheet for further details. The IoT Node is designed to fit a 5.90 x 5.90 x 3.54 in. waterproof outdoor enclosure. A hinged lid provides easy access to the IoT Node for setup and maintenance. The enclosure includes five holes for input and output cabling. A combination of cable glands, hole plugs, or vents may be used. Two small holes are provided to accommodate optional SMA antennas. The schematic diagram of the IoT Node.